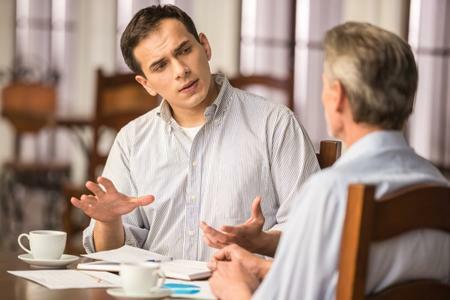 Cumulative listening is when a coach listens carefully to what is being said by the client, identifies the information that recurs in client communication during various phases, and links them back for the client to get an insight. In some cases the client may not even remember saying something that the coach takes note of while practicing cumulative listening. Coach: What is a good ten minute discussion? Client: I would like to talk about the short term goal I have set for myself until December 2015 for new venture. Coach: Would you want to describe to me what your goal is? Client: It is to build and promote my business by December 2015. I have not deliberately put a revenue or market share target. Coach: Is that the only goal? Client: I think so because I have been in my profession for last 30 years and I have not built enough of a network. So, I believe for me to build my business in 2016 I need to build the foundation now. Coach: What does building and promoting business mean to you? Client: I need to have fifty good client contacts and three good consultant contacts. Coach: And to do that how many leads do you think you need to generate? Client: I think for clients I have to generate 150 leads and for consultants at least around 15. Coach: And what steps do you need to take to do that? Coach: You said “enough of a network.” Can you put a number to it? Coach: If you contacted these 50 people, what would your revenue goal be? Cumulative listening impacts the following competencies: Coaching Presence, Active Listening, Powerful Questioning, Direct Communication, Creating Awareness and Designing Action. They all have to integrate into a whole to move the client from impasse to insight. R R Krishna is Founder and Chief Learning Officer of Potential Genesis HR Services LLP. He is a PCC and has also published a book titled Prismatic Coaching : Getting to the Core Element Through Self-Directed Coaching.